It's where I sometimes post about this and that. Nice if you find it interesting to read. Browsing the web lately I got inspired by some beautiful photographs I ran into on a tumblr of a Scotsman with great taste. I loved the composition of a photograph with cheese and wine setting. So I decided to make my own version of it. Here is the result. Let's call it Sunday Lunch. 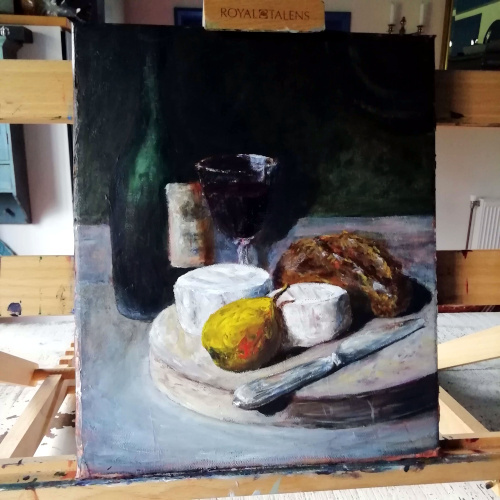 Sunday Lunch, acrylic, canvas, 25 x 30 cm. See a larger image in My gallery. Dark winter days seem to be over, and it feels like I want to paint again. This time I would like to catch the visual effect of some liquid in a crystal glas in bright light. 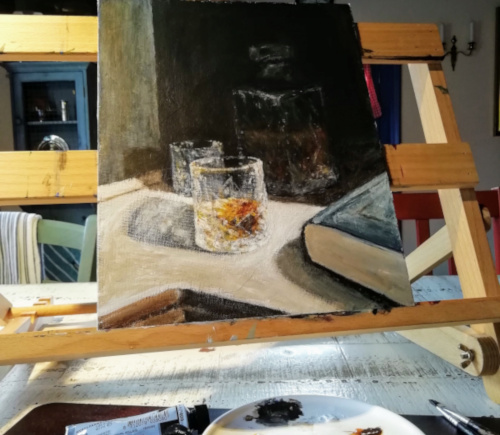 Glass of whiskey, 24 x 30 cm. See a larger image in My gallery. 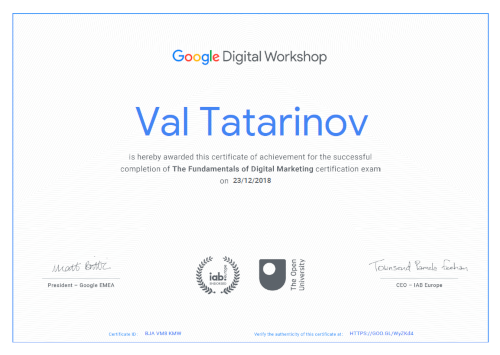 Just completed The Fundamentals of Digital Marketing certification exam after a 40-hour course at Google. Useful knowledge to put into practice with my web design projects. The very first expo turned to be a success. 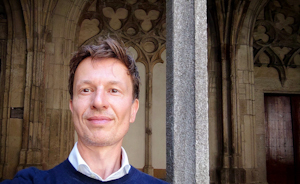 The Ameland Month of Art made me proud. 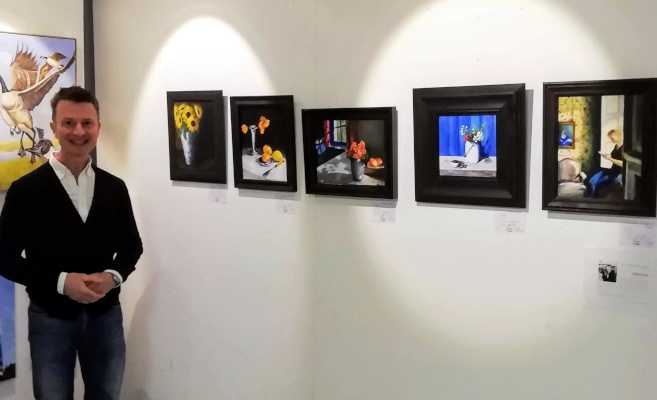 Unexpectedly, four of five paintings are sold, including the self made frames. Astonished. 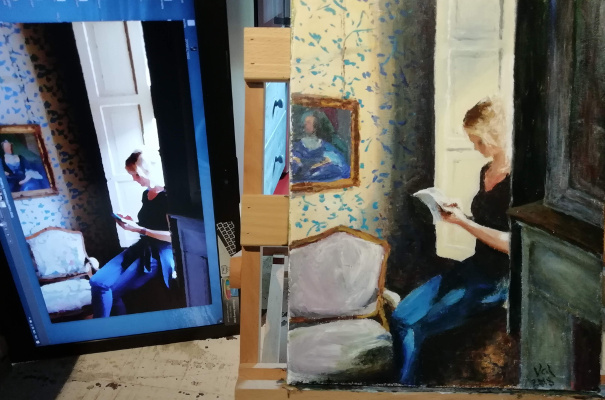 Grateful to Mireille for encouraging to start painting, to @Maria for inspiration, to @Femmie and other friends for support and especially to Paul for always being there for me! Visit my gallery to see these and other paintings of mine. One month to go till my first exposition. 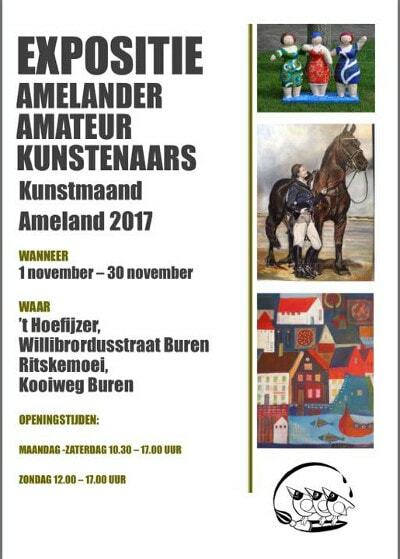 Ameland Month of Art is coming. I am accepted to participate this year with some of my paintings. Proud and quite excited. More to come. Just got another Google certificate! My interest in analytics has been rewarded. 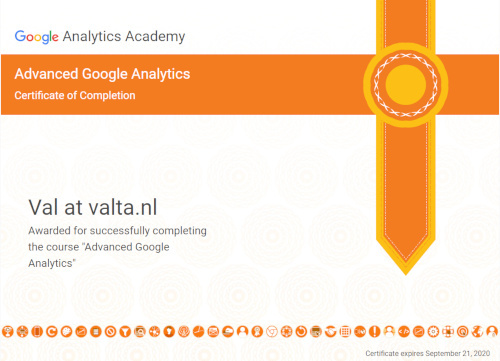 After folowing two courses at Google Analytics Academy, I am now in posession of Advanced Google Analytics Certificate. Proud and full of expectations to use the knowledge and to go further. 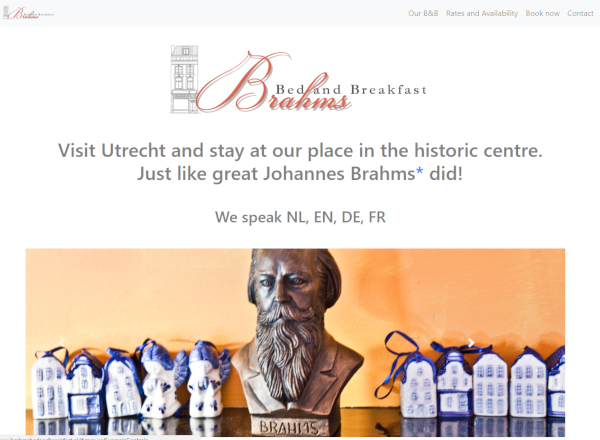 The HTML code of the old version of this website was obsolete. So it was time to get it into the latest version of Bootstrap. Compact, fast, easy to navigate and reliable now. 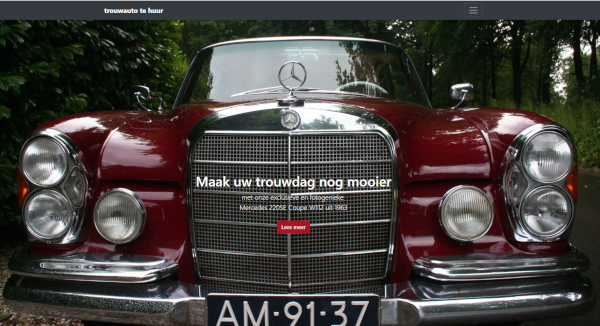 Check the trouwautohuren.org. It is live from now on. 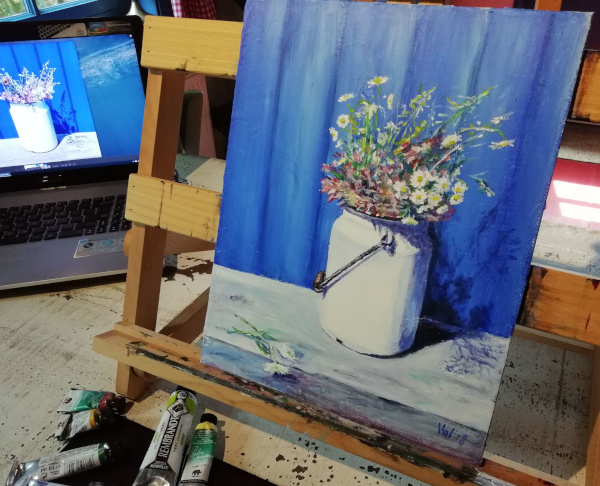 Let's paint still life again! Got inspired by my very creative niece Maria who took a beautiful photograph. Masha's summer, 24 x 30 cm. See a larger image in My gallery. A new study; new experience. It's the first time I am triying to paint a human figure on canvas. Once I took a photograph of mireillevankempen.nl while visiting a small castle near Utrecht. I found it a great setting, worthy for trying. In the room of Belle van Zuylen, 24 x 30 cm. See a larger image in My gallery. After a long break, trying to paint again. I took a photograph of these nasturtiums last October. I loved the play of light on and around the setting. I thought then, it would be nice to paint it once. Well, it was quite a challenge, especially the struggle with the flowers again, but now here it is. My October Symphony, acrylic on canvas, 30 x 24 cm. See it in My gallery. Proud to work on the website for a magnificent holiday villa laying on the bank of Lake Como in North Italy. 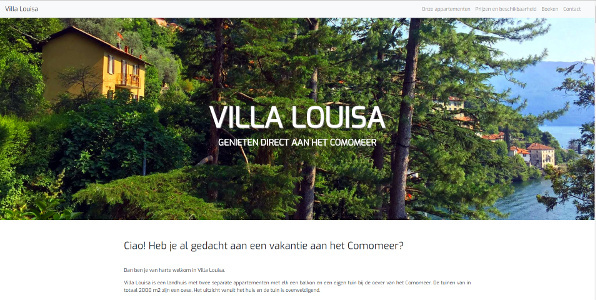 The website of villalouisa.nl is live from now on. It's a light bootstrap based one-pager with some Google Docs (sheets and forms) embedded so that the site owner is able to edit and control the vital information at any time or place. My best friend and an apple hero Chester could not just wait forever for his old page to be renewed. Happy to present a totally new design of my website. I used the Bootstrap framework, the (new to me) text editor Atom and the stuff I have lately learned by Google and Udacity. 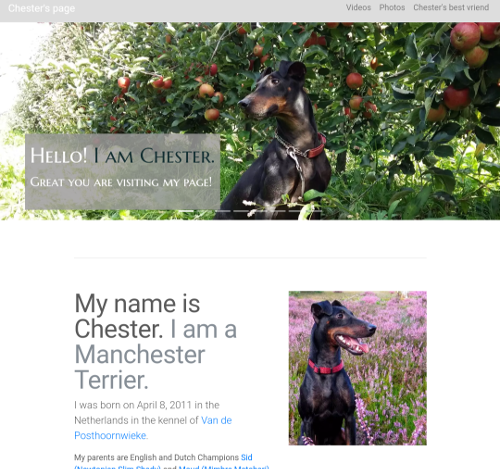 My previous design was dated from 2007; its html code was obsolete and it was not responsive. Though I still love it, it was my first creature. 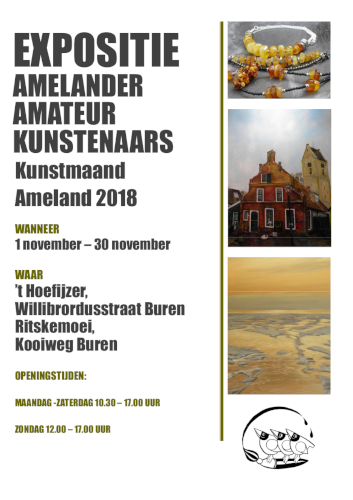 November is the month of arts on our island, we celebrate then the Kunstmaand Ameland. This year more than 100 artists from the Netherlands, Germany, Scandinavia and Iceland show their works at more than 40 locations across the whole island. People of Ameland are very talented. The artists living on the island exhibit their works at the exposition of Amelander Amateurkunstenaars. Will I join them next year? 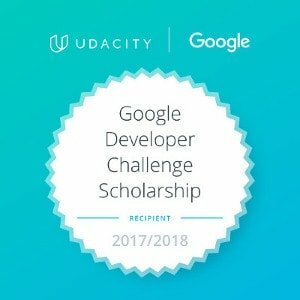 I have been accepted into the Google Developer Challenge Scholarship. We received applications from many talented and motivated candidates, and yours truly stood out..."
Proud. 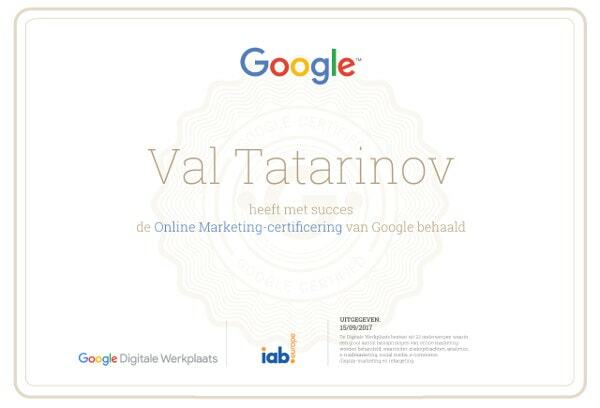 Just received my Google certificate in Online Marketing. It's been interesting to learn at the Google Digital Garage. Lots of useful information I can use from now on building websites or advising on digital marketing strategy. August 18, 2017 by who else? Setting up a composition for still life has turned to be fun. Trying to find the best lighting I have made almost a hundred of photographs. 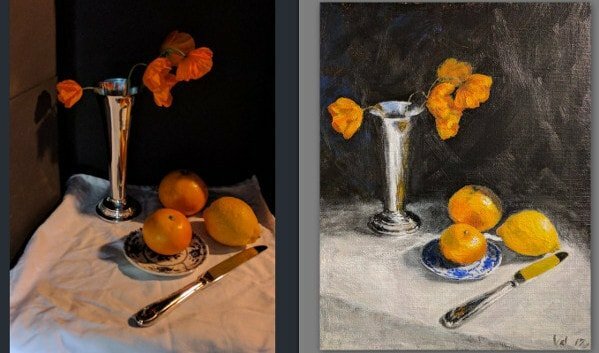 Finally, I chose the one to make my newest painting - Orange still life. I love art and web design. More on me? Check my website.